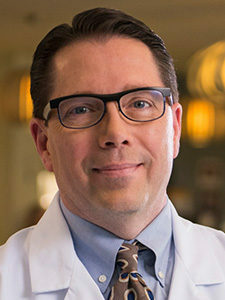 Dr. Daron Street is not new to Tulsa, receiving his medical degree from the University of Oklahoma College of Medicine in Tulsa later followed by a three-year gynecologic oncology fellowship at Loyola University Medical Center in Maywood, Illinois. Dr. Street is board certified in obstetrics and gynecology by the American Board of Obstetrics and Gynecology, Division of Gynecologic Oncology. He has served as a clinical instructor at Loyola University Medical Center and as an assistant professor at the University of Oklahoma College of Medicine. Dr. Street is certified by MD Anderson Cancer Network®, a program of MD Anderson Cancer Center.